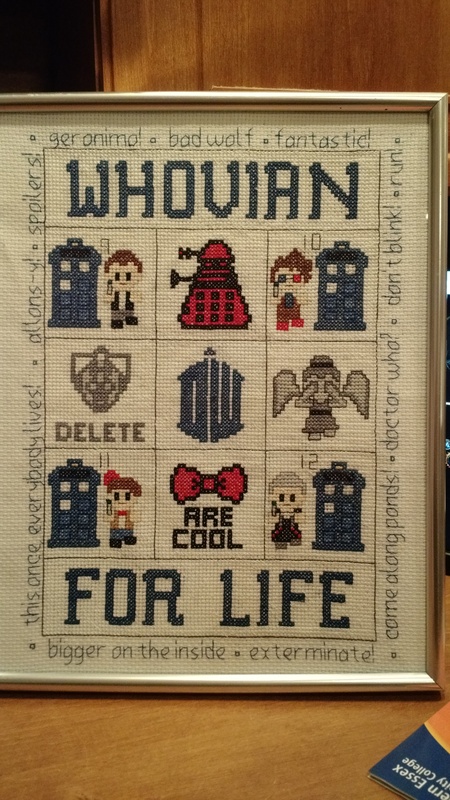 Redditor UncleAngry showed off this cross-stitch piece his wife made for their daughters. It features the four new Doctors along with a Cyberman, Dalek, and Weeping Angel. Very cool.